Steve King hopes to solve data privacy issues for clients with Publicis' cloud-based platform. 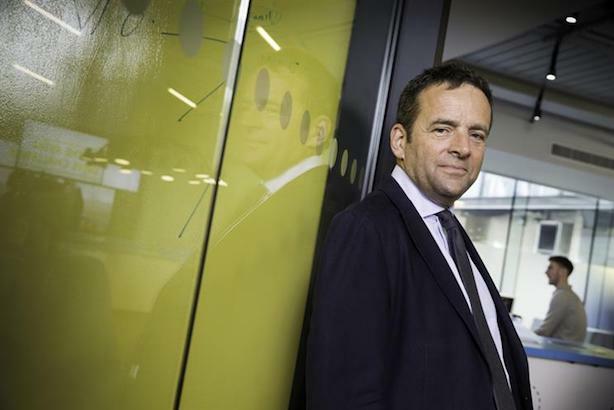 A "huge challenge" burdens Facebook in the months and years ahead as it fights to rebuild trust following the Cambridge Analytica data scandal, says Publicis Media CEO Steve King. He shared the stage with Julie Rieger, president and chief data strategist and head of media at 20th Century Fox Film, to dive into clients’ faith in media organizations and privacy issues at the 4A’s Accelerate conference on Monday. "We all know that people are deleting their Facebook, and that calls trust into question," King said. "There’s a huge challenge about how [Facebook] is going to very quickly come forward and rebuild that trust." The media agency group hopes to answer data privacy concerns with its new cloud-based platform. "We recognized that clients are not going to accept for us to own the data," he explained. "So we are building a platform called Publicis People Cloud -- the clients will own the data. We will interpret that data, so we’re not pulling it into a black box. Ironically, even though data is one of the three pivots of our business, we don’t think we should own that data. So if the client decides to go elsewhere, their data goes with them." Rieger agreed, saying agencies should play no part in owning data. She also echoed the importance of trust and stressed the vital role it played in choosing Zenith, part of Publicis Media, as 21st Century Fox’s agency of choice. "Selecting an agency is an emotional decision," she said. "We are driven in emotional decisions by our prejudices, needs, and wants. In the review, I made a list of all the attributes under each agency, and the top word to describe Zenith is probably the most unsexy word in the world of flowery speak: earnest. But it’s such a powerful word. It’s understated. It means trust. It means those important things about the foundation of any relationship." Rieger added that "where everybody got an ‘F,’ was multicultural." It’s something King is painfully aware of, he said. For him, the problems are deep-rooted in society, not just the industry. "It’s a real issue for us. We all recognize that it’s a business imperative. One of the issues are simply where we’re based," he said. "Our industry is not well known to lots of young people, so it’s sort of socially excluded to many. Then you have a problem because our main employment bases are in London, New York, and Paris, and many young people simply can’t afford to live in these cities unless they’re getting parental support." Rieger also touched on the "broken financials" of the media world, saying that the old model was based on a set of rules that are completely obliterated. She said the world is facing more complexities than ever, and the last thing clients should do is go to an agency and say, "I want to pay you less to do a harder job." "It just doesn’t make sense," she added.